Marriott International has announced that its on track to hit a target of 50 hotels for its Australia, New Zealand and Pacific portfolio by the end of 2020. This announcement follows Marriott’s recently completed acquisition of Starwood Hotels & Resorts. With 24 hotels currently in operation and a pipeline of signed and approved deals totaling an additional 18 properties, Marriott is on track to grow to 50 hotels over the next four years across the region, which includes Australia, New Zealand, Samoa, Fiji and New Caledonia. The current pipeline properties will provide more than 2,500 hotel jobs and add more than 4,500 rooms. Marriott International is set to expand rapidly across Australia in particular over the next few years. The world’s largest hotel company already has a strong market presence in the key gateway cities of Sydney, Melbourne, Perth and Brisbane, and will be entering emerging primary and secondary destinations, with the signings of Four Points by Sheraton Parramatta, The Westin Resort & Spa Coolum, Aloft Adelaide and Sheraton Adelaide Hotel. 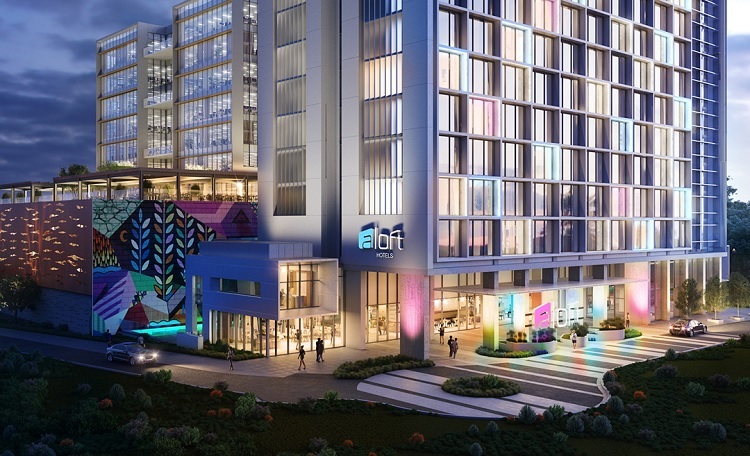 Three additional brands, Aloft, W and The Ritz-Carlton, are expected to be introduced to the region by the end of 2020, with the W Brisbane, and Aloft Perth scheduled to open in 2017, followed by Aloft Melbourne South Yarra and Aloft Adelaide in 2019, and The Ritz-Carlton, Melbourne and The Ritz-Carlton, Perth slated for 2020. Marriott International is on track to boast the largest portfolio of upper upscale and luxury brands and properties across the Pacific region by 2020.